So, we’re going on three months since I cold turkey (cold cow?) cut dairy out of my life, and guys, I have to tell you something—it really hasn’t been that big of a deal. 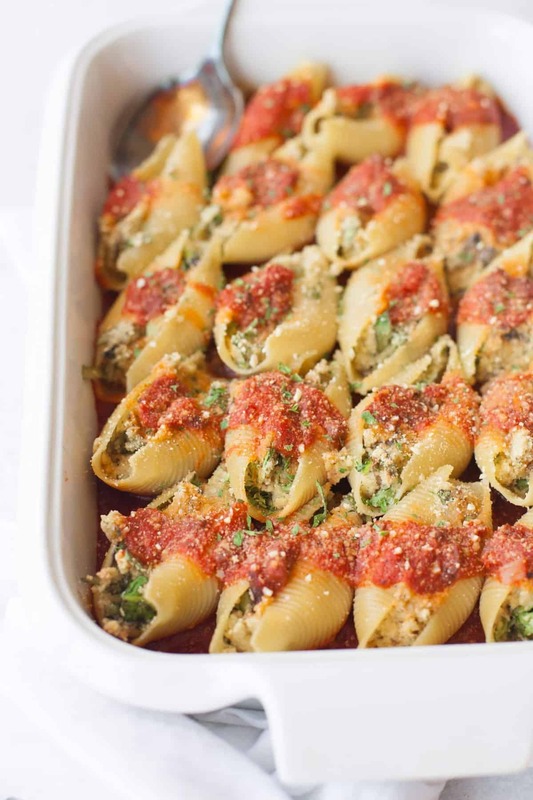 Mostly because I still eat meals like these gooey, hearty, savory Vegan Stuffed Shells. Life ain’t so bad without the cow. I never, in a million years, thought going dairy-free would be so easy. 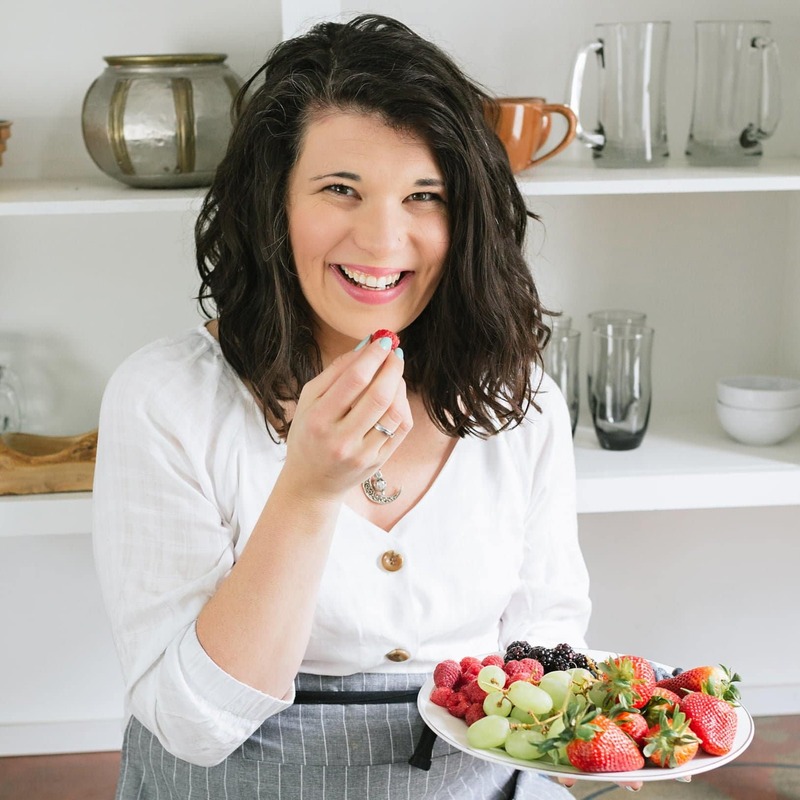 I love me some really good cheesy pizza and buttercream and all that goodness, so I thought cutting out dairy was going to be a big problem—but I’ve figured out some amazing alternatives to my old dairy stand-bys that have made the transition a breeze! 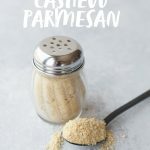 A few weeks back, I shared with you how I now make coffee creamer and queso and sour cream, and today, I’m going to show you how I use cashews to make dairy-free ricotta and parmesan cheeses—all to stuff into some shells and smother in marinara sauce. This recipe is one of those old dairy stand-bys that has transitioned seamlessly into dairy-free. I used to eat cheese-tastic stuffed shells ALL the time—they are so easy to put together, so simple, so tasty, and really crowd-pleasing. I’ve never met anyone to turn down a big pile of stuffed shells! And, as it turns out, they are just as simple, tasty, and crowd-pleasing when you make them dairy-free. 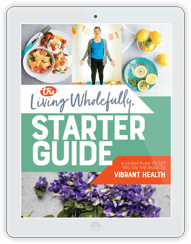 There are a lot of “cheeZy” plant-based recipes out there that claim they are EXACTLY LIKE their cheese counterparts, to which I respectfully call bull. But this one? It can honestly fool just about any omnivore out there. You should have seen when I fed these vegan stuffed shells to my omnivore parents a few months back. It seemed like after each bite they took, they had to say, “I can’t believe these don’t have cheese in them!” I’m still not sure they believe me. Before we dig into the nuts and bolts of this dish, I want to talk about one ingredient you’ll see that might throw you for a loop: nutritional yeast. Don’t be scared. It’s a terrible name for something that is really not all that scary. Let’s talk through it. Nutritional yeast (some people call it “nooch”) isn’t yeast in the put-it-into-bread-to-make-it-rise sense. It’s actually a deactivated version of that kind of baker’s yeast. It has a nutty, savory, slightly cheesy flavor to it that is wonderful when you’re trying to replicate that je ne sais quois that cheese has. It’s a very popular item in a lot of plant-based kitchens because it adds the savory flavor that is missing from a lot of foods when you take out animal products. 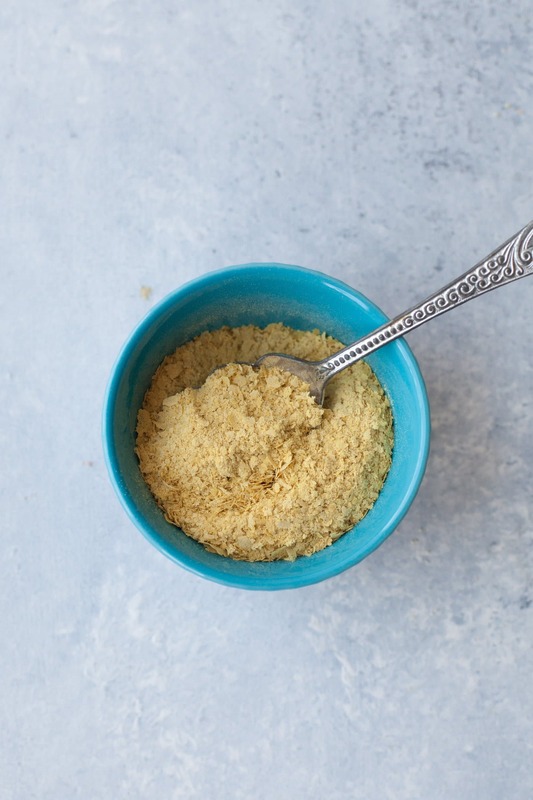 Nutritional yeast is bright yellow and comes in flakes—honestly, it looks dead up like fish food. It used to be that nutritional yeast was impossible to find here in the Midwest. I remember just five or six years ago, only one of the multiple health food stores in my area carried it in the bulk section. Now though? Now, you can get it almost anywhere. Definitely at health food stores. Probably at your supermarket. And maybe even your local grocer—if the little country grocery store in the next town over from me in rural Indiana carries it, there is a good chance your store will, too. Check the bulk bins or with the herbs and spices. 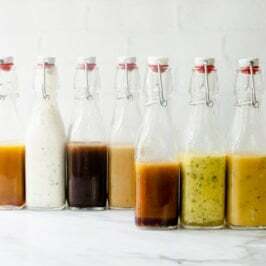 You’ll see recipes out there call for a quarter or even half cup of the stuff, and I know some folks who really like that much of it, but I honestly can’t handle more than a tablespoon or two in any given recipe—it is really strong. 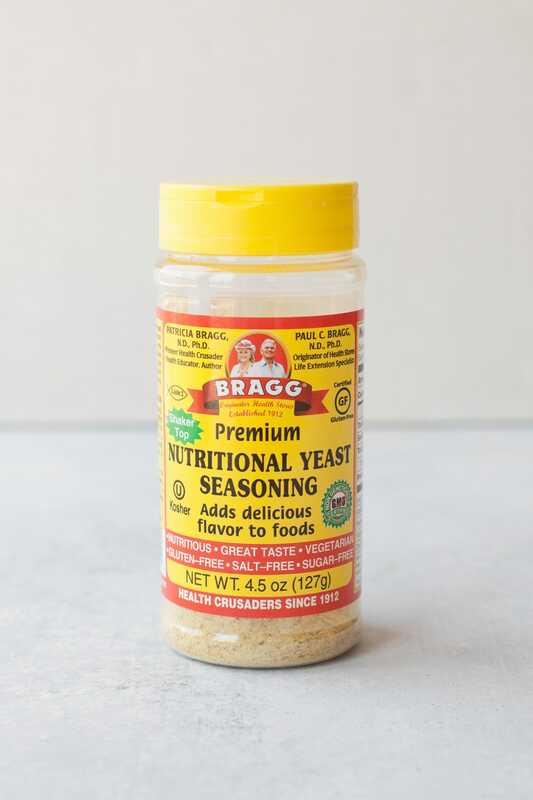 I treat nutritional yeast like a seasoning, not an ingredient. A little bit goes a long way! 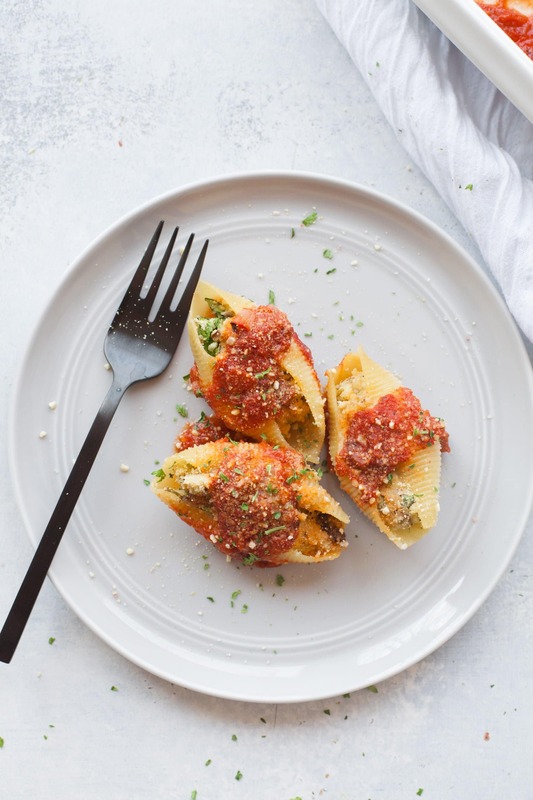 Okay, now let’s dig into these vegan stuffed shells. 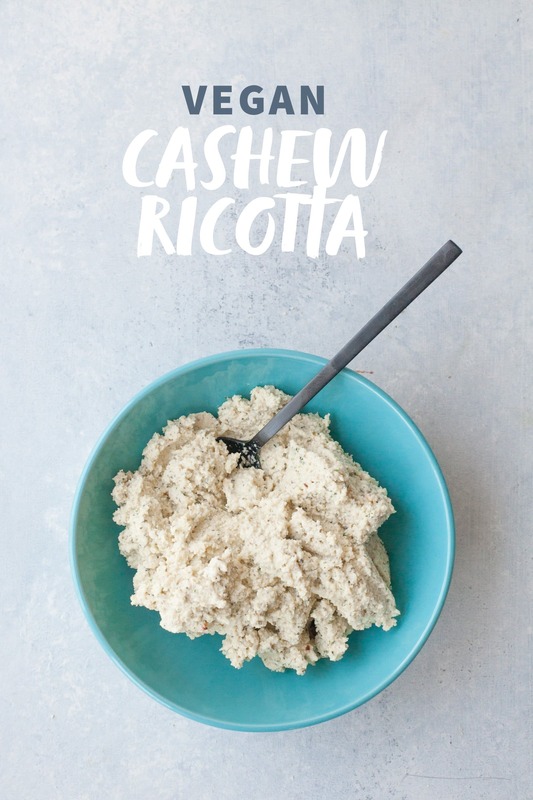 First up, you’ll want to make your Cashew Ricotta and Cashew Parmesan. 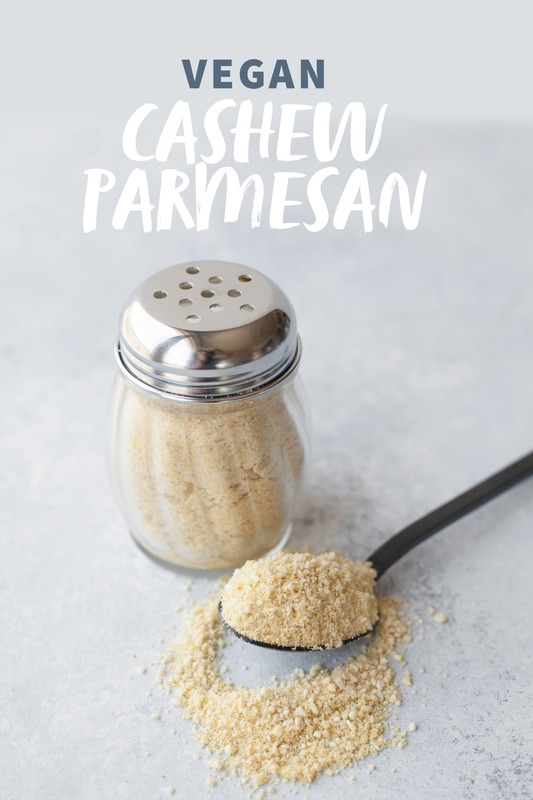 Cashew Parmesan takes all of 30 seconds to make and I think it looks and tastes so much like the grated, shaker kind of parm you get at your local pizza parlor. I put this stuff on everything—pasta, salads, scrambled eggs, and it’s bowl-you-over good on popcorn. We keep it in a shaker jar in our fridge—and it lasts for weeks. I think we’re on week four or five of our current batch. Combine all ingredients in food processor and pulse until it resembles grated Parmesan cheese. Cashews don’t do a great job of replicating stretchy, melty cheeses like mozzarella or cheddar, but they do do a great job of replicating ricotta! 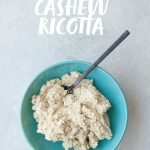 You’ll need to pre-soak your cashews before you make this dish, so make sure to either plan ahead or do a quick soak like I explain in my previous cashew post. Combine cashews, garlic, lemon juice, nutritional yeast, oregano, parsley, basil, salt, and red pepper flakes in the bowl of a food processor. 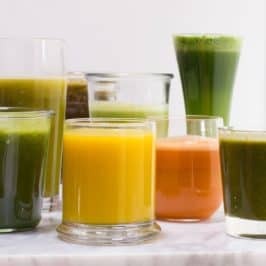 Pulse until well-blended. Add water 1 tablespoon at a time, and pulse until the processor runs smoothly and the mixture looks creamy. Taste and adjust salt as needed. Quick soak method: Cover cashews with boiling water and let sit 1 hour before proceeding. Super quick method: Place cashews and three cups of water in a saucepan, bring to a boil, and continue boiling for 10 minutes. Drain and rinse before proceeding. 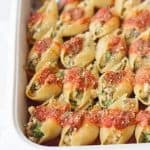 And now that you have those two recipes in your back pocket, you can turn them into Vegan Stuffed Shells! You can stuff your shells just with the ricotta and be done with it, but I almost always stuff these babies with spinach and mushrooms (just mix them into the ricotta filling before stuffing—no need to sauté). You really can’t mess these babies up. Pour 1 cup marinara sauce into a 9″ x 13″ baking pan. Mix the ricotta, spinach, and mushrooms together. Stuff the ricotta mixture into the shells, placing each stuffed shell in the pan. Spoon remaining sauce over the top of the shells. Sprinkle on Parmesan. I use nutritional yeast as a topping on almost all my meals. LOVE it! Hi Cass! 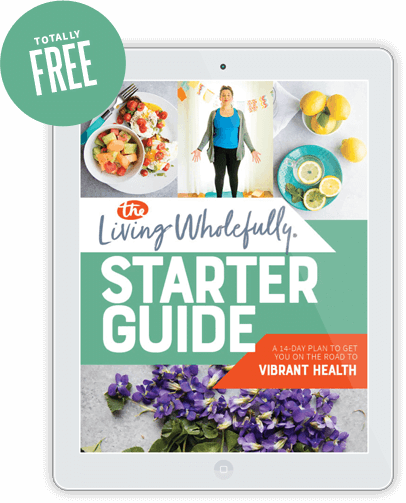 Not that I’m a skeptic….but I’m a skeptic ;) Your dairy substitutes are definitely on my list to-try list tho! I even have a big bag of raw cashews in the cupboard to prove it!! Wanted to point out it says 24 tbsp of water in the ricotta recipe. Guessing that should be 2-4? Thank you, I will but you know they don’t know much about it either, lol. Is this freezer-friendly? I’d like to double batch (one for now and one for the freezer). YES! My only recommendation would be to slighly undercook the shells if you’re going to freeze it—they will soften in the freezer. Just wrap up and freeze before baking. 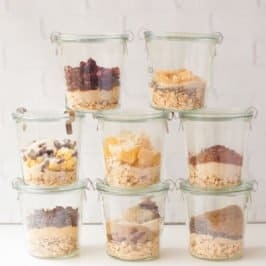 I just made this and read the recipe as 24 tbsp. of water. I think it may be 2-4? I have a hard time reading the numbers with this font. Please clarify. Thanks! You’re right, it is 2-4. Thanks for catching that – it should be fixed now! Thanks!! We just made our second batch of this in 3 days, BTW. Amazing! One of the best vegan recipes we have made in a long time. Definitely a favorite in our meal rotation starting now. Thank you!!! This has quickly become one of my families favorites. My 11 and 13 year old have had a difficult time with our plant based life style… but this was a game changer. My whole family asks for this at least once a week so it’s now in our weekly rotation. I do chop the spinach and mushrooms very fine so they don’t detect them. My 4 non-mushroom kids never even notice them in there. Thank you again… just finished measuring out everything and soaking the cashews for tomorrow. Thank you so much for this recipe! I recently had a party and made vegan lasagne using the spinach ricotta for the filling… one of the guests said it was the best lasagne he ever had. 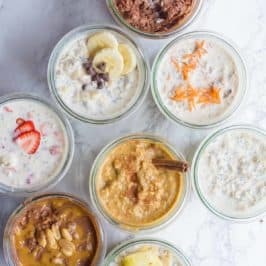 I like this vegan ricotta recipe better than any other, it is so delicious. You are right, it is so good that you can dip bread sticks in and have it that way, so be sure to make extra! 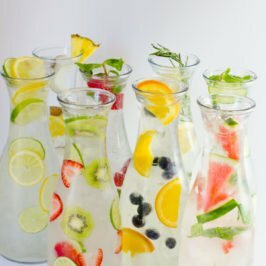 This is one of my “go to” recipes that I love. Perfect for guests who are not vegan. Everyone seems to love! Slight changes: about half of the lemon suggestion and a little more water on filling, otherwise it’s just too “lemony” tasting. I like to add chopped spinach to the filling for more greens and add more Mariana sauce to the shells. Perfect! We LOVE this recipe in our household! Everyone whom I’ve shared the recipe with likes it as well; vegans and non-vegans alike. Thank you for sharing this wonderful recipe! Thanks for the recipe. The Vegan Parmesean is amazing, to be used on whatever you please. The Vegan stuffed shells are great too. I added a bit of fresh spinach to the ricotta mix. Yummy. Nice to have a hearty option on occasion .